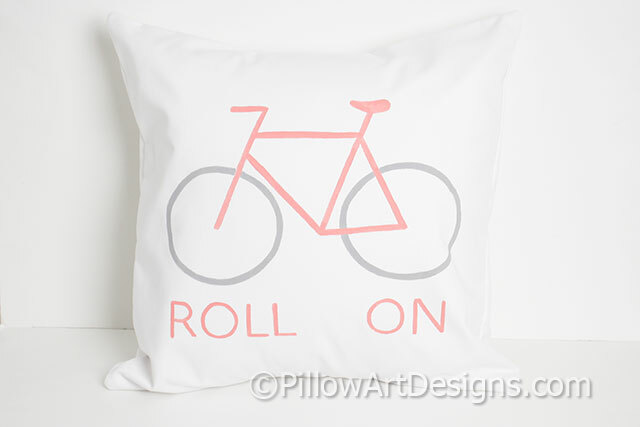 Biking theme pillow cover with bicycle graphic painted in coral and grey with the words 'Roll On' painted in coral beneath the graphic. 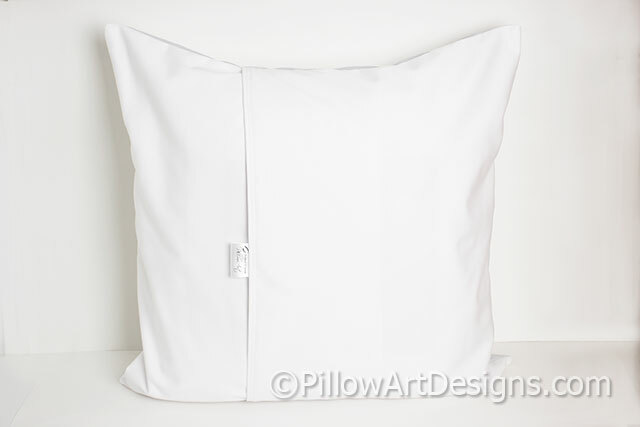 Made to fit a 16 X 16 inch insert (not included). 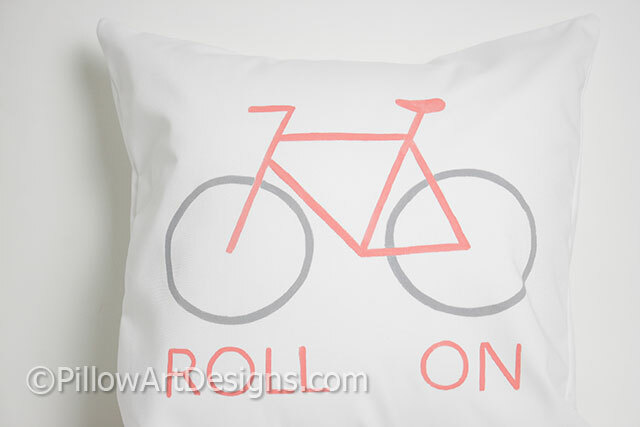 Painted with non-toxic fabric paint, will not wash off, flake or rub off.